We've been fans of The Foos app for a long time. In 2016 The Foos rebranded to include codeSpark Academy and now you can play a subscription-based edition of the award-winning coding app. This move enables the development of more content and features and improving the user experience of The Foos app. Last week they launched their latest feature - Pet Pals. Exclusive offer to Tech Age Kids readers: Subscribe to The Foos with PETPALS code for the first month at USD$0.99. The Foos and codeSpark Academy rebranded in 2016 and its now - codeSpark Academy with The Foos (we'll say The Foos for short in this post!). It's a learning app that introduces children from ages 4 - 9 to computing concepts. The Foos helps your kids learn the 'ABCs' of computing. Using the app kids will learn about sequencing, loops, conditional statements, events, Boolean logic and sorting and variables. 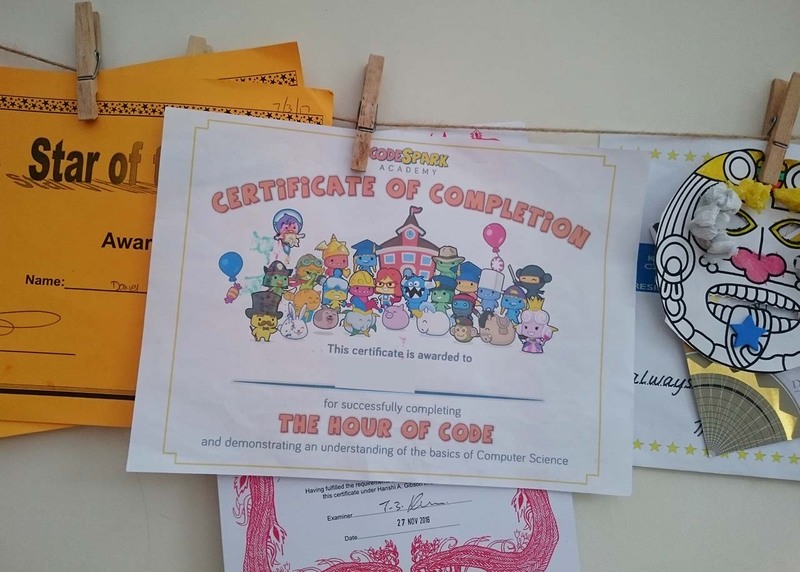 They will learn skills such as perseverance (some of the levels are not easy), problem-solving and critical thinking and well as design skills in the game maker. The Foos is recommended for ages 4-9, but younger kids can play with adult support. I think my youngest started playing when he was 4. Different parts of the app will appeal to different kids. The game maker element will be appealing for older kids as they can code their own levels for the game and requires more skill and problem-solving abilities. However this doesn't mean it won't appeal to younger players. In fact the game maker is currently my son's favourite part of the app. He's creating games and then testing them out on his brother. If they are too easy, he changed them. This process of developing something, testing it and getting feedback is a valuable skill for kids to learn. The use of pictorial blocks for commands means it is perfect for pre-readers. And the app is available in a wide range of languages too. Well, it costs money to make apps like The Foos! As parents, we can easily fall into a trap of only getting free apps for our kids, because there are SO much available. But the REALLY good ones are not free. You pay so that you are guaranteed no in-app advertising or in-app purchases which mean no nasty surprises for kids clicking something they shouldn't or unknown amounts of money being spent. There is currently have a 7-day free trial on iOS and Android. Thereafter it’s a recurring subscription of USD$7.99/month. With the PETPALS promo code, you’ll get your first month for USD$0.99 (although there’s no free trial with that). After the first month, it’s USD$7.99/month. There is a “lite” version on the web (thefoos.com/webgl) which is still called The Foos and is free for everyone. There are only first 3 chapter levels. But you can get a feeling for the app and if you'd like to make the investment. The Foos is a tablet app and currently, it is available for Andriod and iOS with plans to develop for Amazon Fire (we approve!). 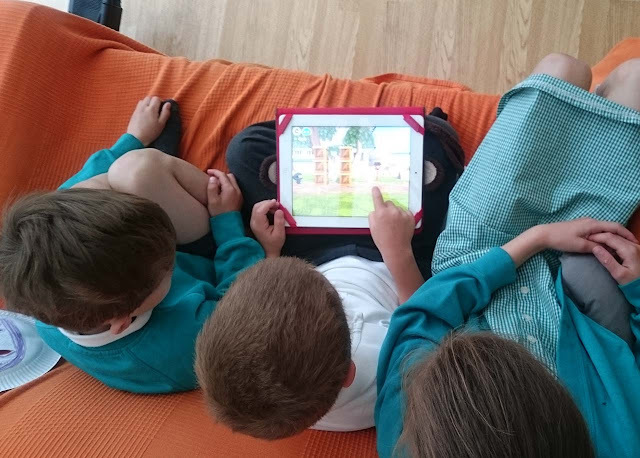 Most young kids these days are pretty nifty on a tablet and so it makes sense to make a coding platform on a device they can easily manage and learn with. On the subscription, you can add up to 3 children profiles and they can be played on 3 different devices. They also don't have to be the same operating system. We've got The Foos running perfectly well on my old iPad 2. You need to create profiles for your kids to play, but you don't need to provide any personal information. In fact, they can't choose their own profile names, they make up a name from 3 different variables. You can get very creative! My kids loved this and thankfully with the new Pet Pals, you can name your pets in a similar way - we've got some very creative names for pets like - the rabbit 'Captain SneezyDoofer' and a sheep called 'Mr. WigglePuff'. codeSpark is COPPA-compliant which means they don't collect any private data on the kids. In the game maker where kids can share games, they can only give a thumbs up or thumb down on games, with no other interaction available. The Foos is free to use in schools not-for-profit organisations. You need to first set up a codeSpark Academy Teacher Dashboard account at dashboard.thefoos.com. And they are coming out with a homeschool plan soon too! They offer lots for free resources including lesson plans, offline coding activities, how to videos, colouring sheets and more. 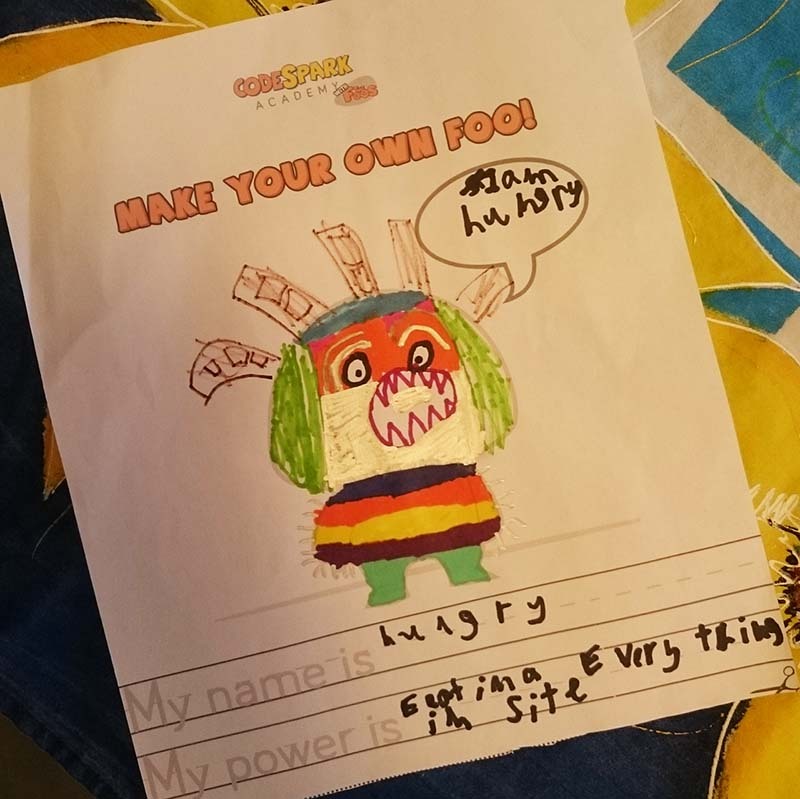 You can even design your own Foo and give it a name and special powers. If your kids completed the Hour of Code you can download a certificate for them to hang somewhere special. 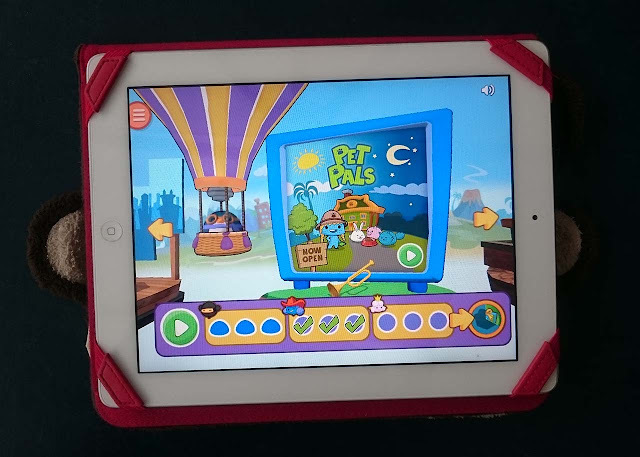 Pet Pals is the latest addition on THe Foos minigames. Kids learn about automation by earning and caring for pets. The game is based on days (game days, not real one!) and you need to complete certain tasks before the sun goes down. At night the pets sleep and during the day you need to feed them, clear up after them and play with them to earn heart points. You can collect common, rare, wild and exotic pets! My 6-year-old loves this minigame. As we were reviewing it he soon realised the need for automation "I can't manage all these pets! Glad I can program someone to help". And it seemed to have a positive effect on how he can care for his own pet, "This helps me learn how to look after Ruby." We have an actual dog called Ruby! Here at Tech Age Kids we like to find things that really help kids learn the skills they need for a digital future. 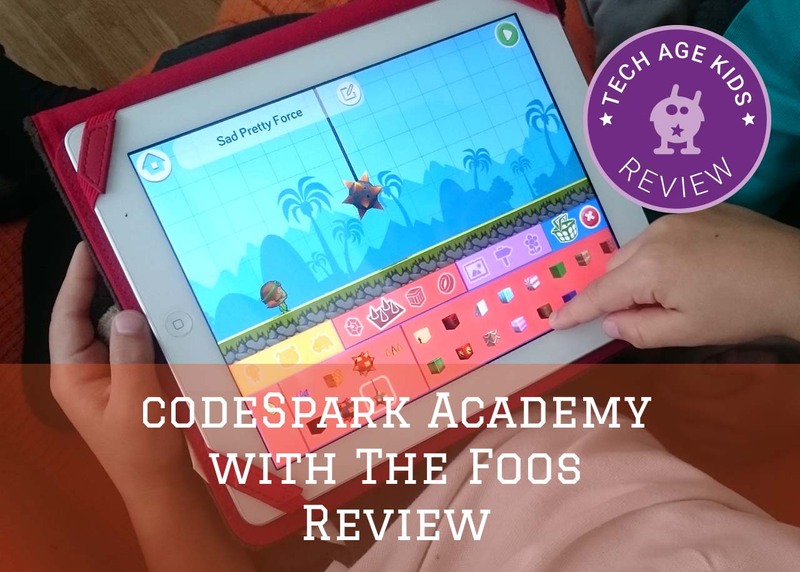 The Foos is a brilliant tool to learn coding skills but also problem-solving and critical thinking skills. It's not a cheap subscription, but there is a lot to explore in the app. There are lots of resources available to make The Foos part of your learning toolkit. It gets a thumbs up from us! Subscribe to The Foos with PETPALS code for the first month at $0.99.